Thailand had perhaps the most fanfare for its 2018 World Cup tryouts out of the countries qualifying for the 2018 World Cup. In fact, their efforts did not just come from its World Cup committee. 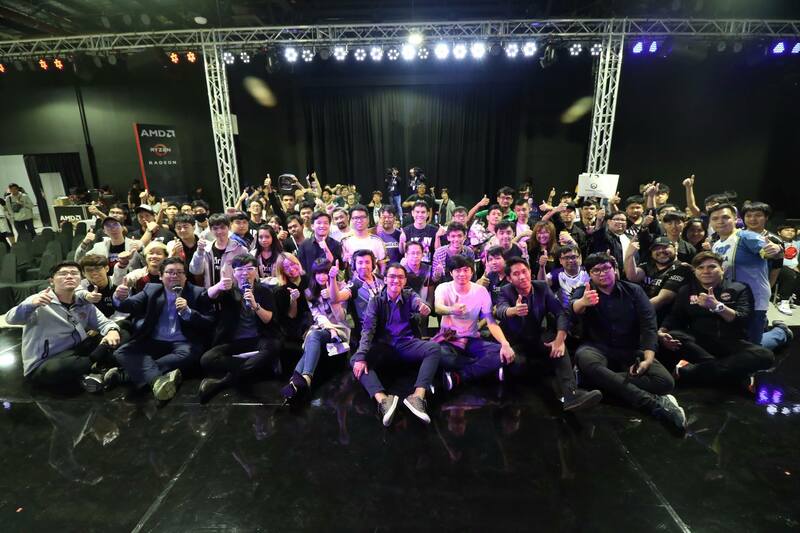 Dreamcasters, Thailand Esports Federation and other parties were included in the team selection process, even going to great lengths to turn the tryouts into a community event, creating even more buzz around the event, taking place this weekend. 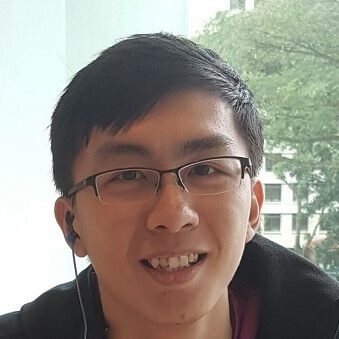 Four Thai teams were invited to try out: MEGA Esports	 MEGA Esports Inactive NzNr Sasalak Wannarak off tank Pichu Piti Chuchok off tank mush2oom Talunt Rattanaprapaporn off tank oPuTo Ubon Dara dps Rocket Vuthichai Posawad support spinda Tarrant Wolff support and Xavier Esports	 Xavier Esports Contenders PAC Rank #5 Olivier Thanaporn Wattanapholmongkol off tank THK Thanadol Kitautcharanukul dps Patiphan Patiphan Chaiwong dps QueEn Narat Hirunwatit tank tae Kampanat Thongjaeng support THITIKORN Thitikorn Sisamarng support , both participants of Contenders Pacific Season 2, LYNX TH	 LYNX TH Inactive BOOMBURAPA Chaiwat Wattatum off tank NutsuruSama Pat Saejew dps Bello Suthinan Chotrattanaphithak dps Rodtunglnw Thanaphon Phoosansart tank PannyS Pasavit Inkk Svasti-xuto support Zobi Kachaporn Taveesin support , and OneShine Esports	 OneShine Esports Inactive GuN Kantapon Wongsuwanich off tank Bello Suthinan Chotrattanaphithak dps Merrily dps Zenith Siravit Rodrat tank Goddess Nutdanai Viangchaiyapoom support Jannie Nunthapop Patkhun support Tonja support alongside Young Blood, who successfully advanced through the open tryouts. 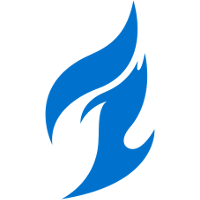 With 11 players chosen from various teams after the tryouts, and Mickie	from the Dallas Fuel	 Dallas Fuel OWL Rank #8 uNKOE Benjamin Chevasson flex support NotE Lucas Meissner off tank aKm Dylan Bignet dps ZachaREEE Zachary Lombardo dps OGE Son Min-seok (손민석) tank Closer Jung Won-sik (정원식) support as the Captain, Thailand's 2018 World Cup roster was finally taking form. Thailand held their tryouts from June 25th to July 1st, with it being broadcasted online and was aimed at further engaging the country’s fanbase. The tryouts also concluded with a LAN finals consisting of three mixed teams. The event was well publicized and popular in Thailand, with viewer numbers exceeding 1000 at its peak, which is considered high in South-East Asia. However, this was not the first time that Thailand was treated to such an event. From university tournaments to fan and academy sessions hosted by MEGA Esports, multiple community efforts have been made to bolster the local scene despite the increased difficulties imposed by Blizzard in recent times for unofficial competitions. But despite those hurdles, Thailand undoubtedly has the healthiest Overwatch scene amongst other Southeast Asian countries, proving that they are a self-groomed rising star in the Overwatch scene. However, not all was smooth for the land of smiles. Thailand owes its spot in the 2018 World Cup by being a host country, despite not meeting the Skill Rating cutoff that other countries needed to meet to qualify. Nonetheless, they hold a healthy pool of players and teams that are able to compete against other international competition. The team consists of oPuTo	, Teetawat	, and Rocket	from MEGA Esports. 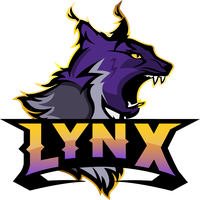 SaiyajinGOD	and Patiphan	also joined from Xavier Esports, while PannyS	was the lone representative of LYNX TH. 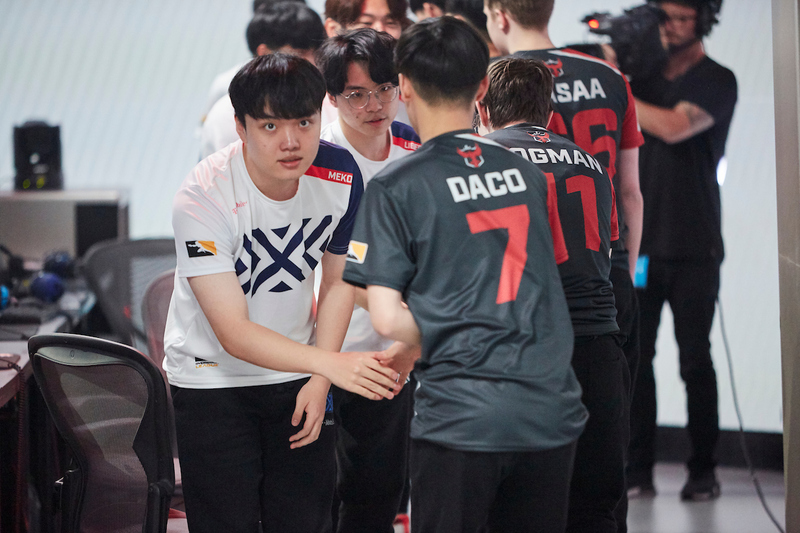 Rounding out the roster is team captain Mickie	, representing the Dallas Fuel	 Dallas Fuel OWL Rank #8 uNKOE Benjamin Chevasson flex support NotE Lucas Meissner off tank aKm Dylan Bignet dps ZachaREEE Zachary Lombardo dps OGE Son Min-seok (손민석) tank Closer Jung Won-sik (정원식) support . Rocket , Patiphan, and SaiyajinGOD will be making their debuts in World Cup play. 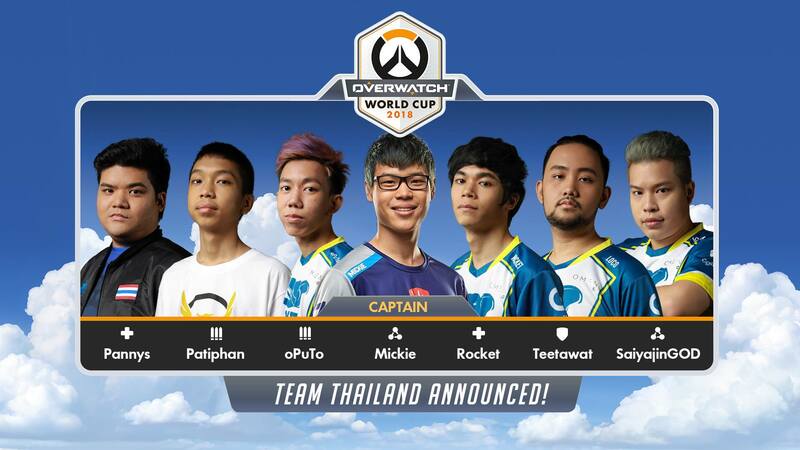 Mickie, the captain and face of Team Thailand, is no stranger to playing in the World Cup. He and oPuTo are the only ones to have represented Thailand in every World Cup. We approached Mickie with some questions regarding the World Cup and the Thailand scene. What are your thoughts on being the sole SEA representative country? The only reason why Thailand is in the [the world cup] this year because we're [the] host. It means the average skill rating the Southeast Asia server is too low I feel like it's unfair to use SR for qualify but overall i’m happy we're going to make the viewer joyful. How did you feel about last year’s World Cup? We did great i’m really proud of my team although we didn't make it to Blizzcon. How do you feel playing with your fellow Thais after being in the US for such a long time? It's the biggest opportunity in my life I’m really enjoy it. How do you think your experience in the inaugural season of the Overwatch League will help you and the Thailand team? 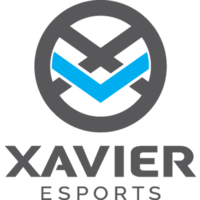 As people can see OWL is the highest competitive in OW so i think i can share my exp to my team and make them become stronger. 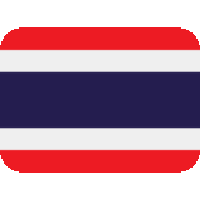 What are your expectations for Team Thailand for this year’s World Cup considering that the group stages are in Thailand? I’m not expect anything but we're going to try hardest for Blizzcon this year. 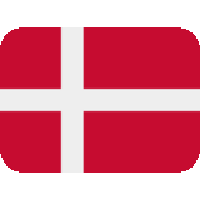 With China, Australia, Spain, Sweden and Denmark all in the same qualifier, who do you think will be your toughest opponent and why? China would be the strongest in my opinion since they beat us last year and they seems to be working hard lately since the result in OWL is not good so they will show how strong they are in OWWC. 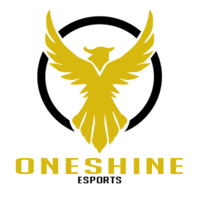 Do you feel that there is more of a chance for your fellow Thais to follow u into OWL considering the number of TH teams qualifying and making it to contenders Pacific with more Thai teams in the limelight like OneShine, Xavier, LYNX and MEGA? 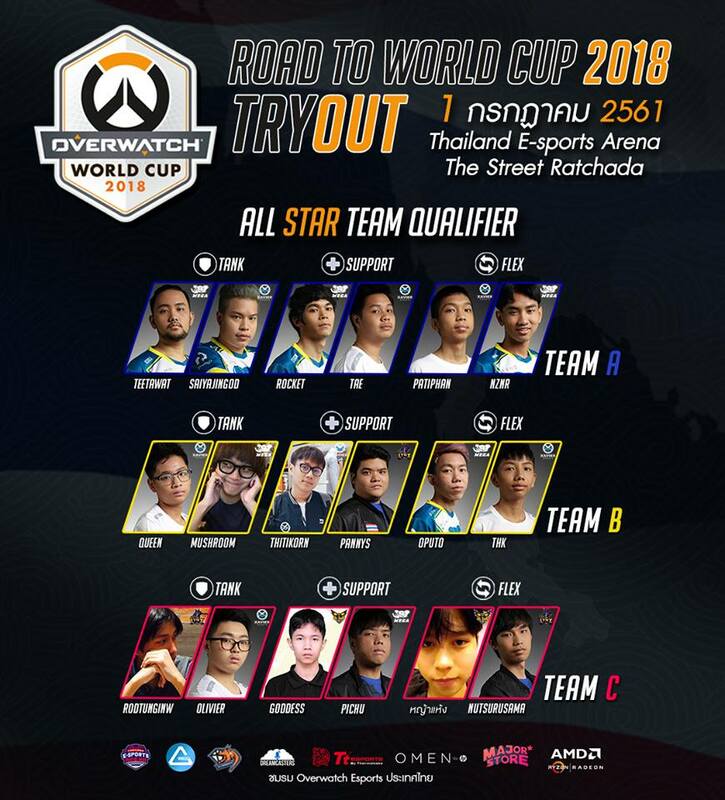 Since we have more Thais became full time pro player I think they could make it to OWL it's all depend on them. Who will you be bringing to the beach? Definitely Custa, Harry but I don't mind if someone wanna join. Do you think that Hammond or Wrecking Ball will be used? Yes ... as least I'll use it LOL. Idk if we can win [the world cup] but I’m sure we will spread the happy virus. Thailand has come a long way in developing their local scene despite the difficulties encountered, and has only qualified for the World Cup this year by being a host country. Thailand 2018	 Thailand 2018 Inactive Mickie Pongphop Rattanasangchod off tank oPuTo Ubon Dara dps Patiphan Patiphan Chaiwong dps Teetawat Teetawat Teerayosyotin tank Rocket Vuthichai Posawad support PannyS Pasavit Inkk Svasti-xuto support will be opening the Bangkok Qualifiers against Denmark 2018	 Denmark 2018 Inactive Danii Daniel Lindblad off tank fischer Mads Jehg dps Shax Johannes Nielsen dps Nerfdd Gustav Guldager tank Kellex Kristian Keller support Ding Danni Rasmussen support on 14 September, Friday, 11am GMT +8 (13 September, Thursday, 8pm PDT). Special thanks to my co-author, sandshrewz.